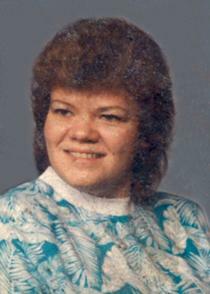 Anita Lynn Cardwell, 58, of Huntington, WV, passed away Friday, February 8, 2019 at her home. She was born July 13, 1960 in West Hamlin, WV, a daughter of the late Alba and Audrey Adkins Cardwell. She is survived by one daughter, Kaitlin Dotts of Antioch, California; two sons, Joshua and Jason Bronosky, both of Huntington, WV; three brothers, Aaron, Mike and Joe Cardwell; one grandson, Owen Dotts; and a special friend, Patrick Bronosky. There will be no services. Online condolences may be expressed to the family at www.timeformemory.com/wallace. Wallace Funeral Home & Chapel, Barboursville, in charge of arrangements. I Love You sis. Fly high and hug Mom and and Dad for me. I will miss you so much but it is enough for me to know you are no longer in pain and you are not limited in any way any longer. PJ, Jason, Josh, Kaitlin: So sorry to hear about Anita. Know that you are in our prayers and thoughts. Love all of you.